Let’s face it. Pugs might be the cutest little critter that the world has ever seen! So, when we heard the Puppy Dog Pals starred 2 little pug puppies, we almost couldn’t contain our excitement. Bingo and Rolly are on a new adventure every day and you can bet they’ll be sticking their little puppy noses into trouble in each episode. Like the time they ran through the entire city trying to get Bob’s baseball back! Or the time they chew up Bob’s childhood toy. Or what about the time they can’t remember where they buried Bob’s unicycle? Hmm… Bob really does have his hands full, doesn’t he? Bingo and Rolly’s unmatched cuteness certainly makes all the trouble worth it though! Now, your little one can become as cute as a little pug in a rug when they become the Puppy Dog Pals character, Rolly. All they need is this officially licensed costume and an appetite for adventure. So, you’d better get ready to assume the role of Bob! This Puppy Dog Pals toddler Rolly costume helps your child become the adorable pug from the Disney Junior show. 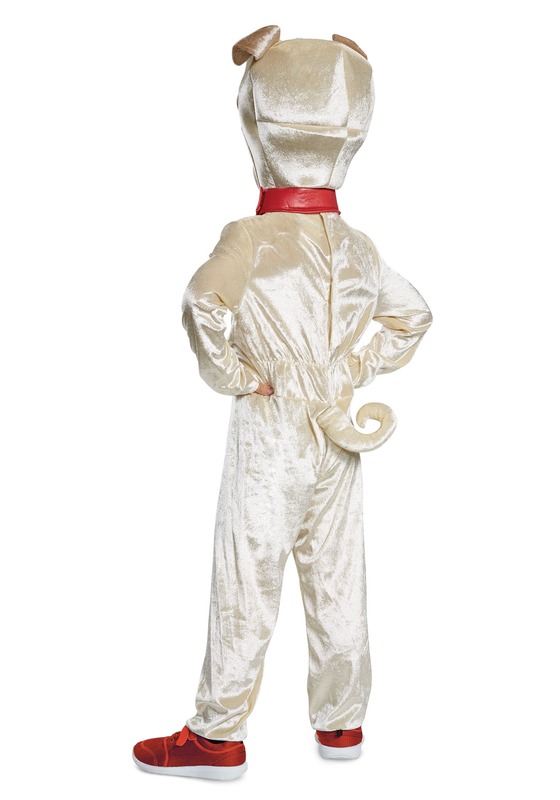 The costume comes with an ultra-soft tan jumpsuit that looks like the fawn pug’s fur. It has a slightly darker tan chest. The headpiece has a red collar around the neck and plenty of Rolly’s features on top. It has small floppy ears on the top, along with large blue eyes. It also has a printed pug nose in front with a little felt tongue dangling down the top. Plenty of adventures will be waiting for your child when he snuggles into this adorable Puppy Dog Pals costume. 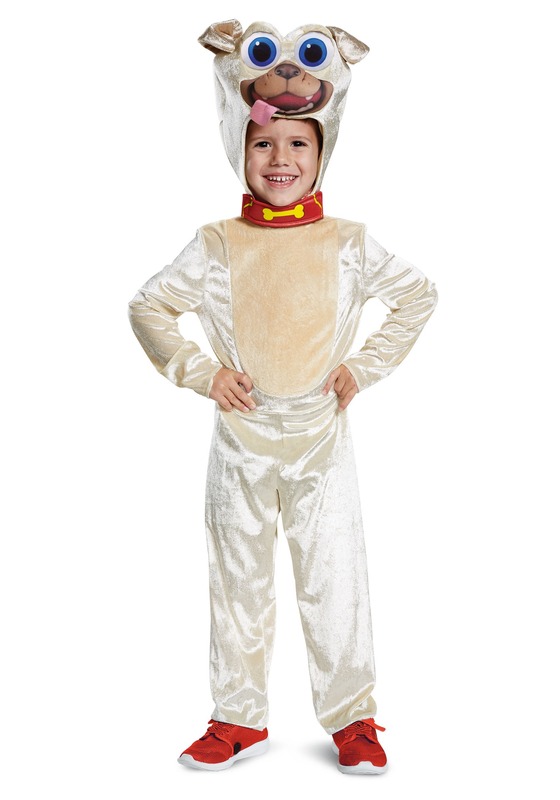 You can even dress up one of his friends in the Bingo costume to unite the puppy duo from the cartoon.